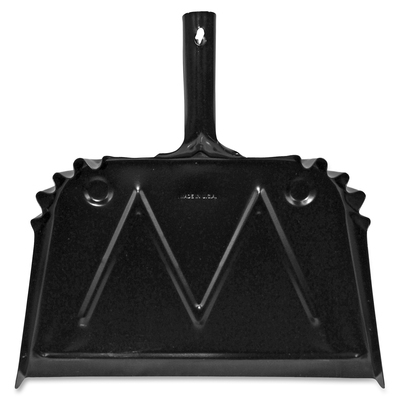 Metal Dustpan Helps You Pick Up Dust, Dirt And Debris From The Floor During Small Cleaning Jobs. Heavy-Duty, 20-Gauge Steel Construction Withstands Abuse For Long-Lasting Use. Baked-On Enamel Finish Creates A Smooth Surface That'S Easy To Clean To Help Maintain Sanitary Conditions. Handle Features A Convenient Hanging Hole For Storage And Quick Access..